This is a copy of sheet music for the "Gov. Robinson's Polka" as played by the Fitchburg, Massachusetts Cornet Band. 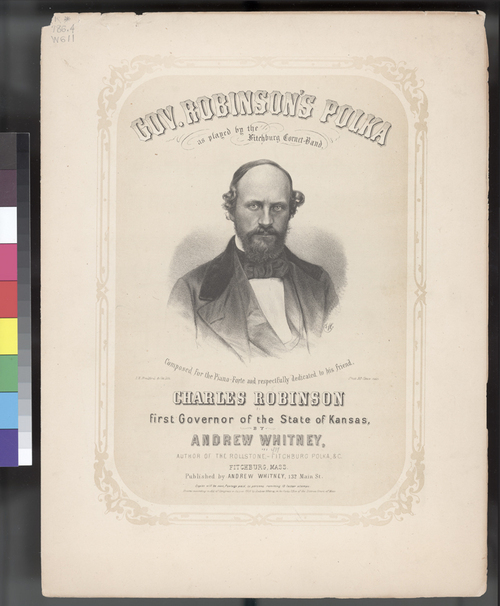 It was written by Andrew Whitney and "respectfully dedicated to his friend," Kansas Territory governor Charles Robinson.